Do you need restoration? Are you worn out and wonder what God is up to when life seems upside down? What if we could have restoration right smack dab in the middle of life’s drama? This month we are talking about Resurrecting and Restoring Who We Are in Christ. 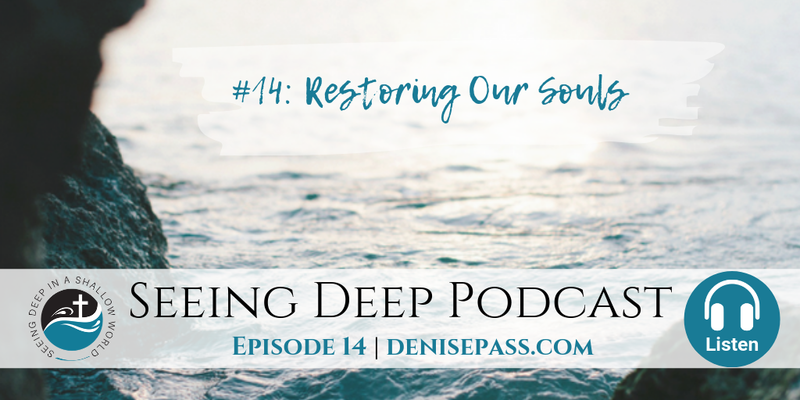 Listen in as Denise shares of this restoration of our souls available to those who have accepted Christ as their Savior.